1) To analyse pre- and eruptive monitoring patterns and eruption characteristics of a series of eruptions of European volcanoes and similar ones from other regions. 5) To identify regional and national capabilities to respond to the early warnings. 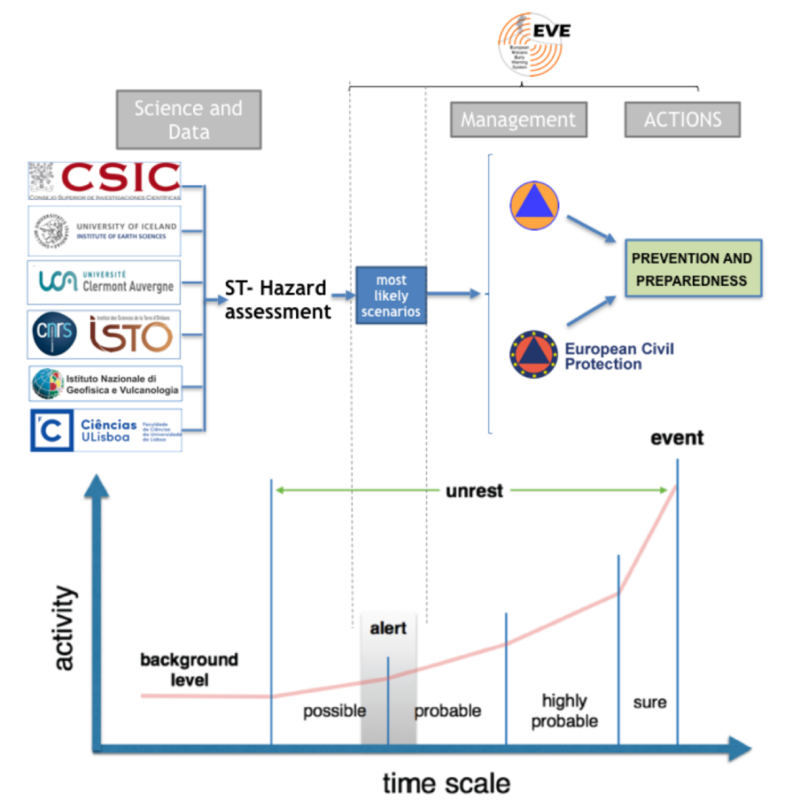 * A visualisation system to represent probable eruption scenarios and the extend of possible derived hazards.